My sisters 1300 GT junior had some severe rustproblems and every year it was a struggle to get it ready for the MOT. At one point we decided to do a full restoration of the car. After the disassembly I started to strip the paint and what I found was a shock! Bad repairs, 5 cm thick layers of filler……… Ans a lot of rust (as expected ofcourse). But the body was in such a bad shape that we decided to search for another body in better shape. It didn’t take long before we found a 2000 GTV body with both sills already replaced. Still a lot of metal had to be replaced in order to get a rust free body. 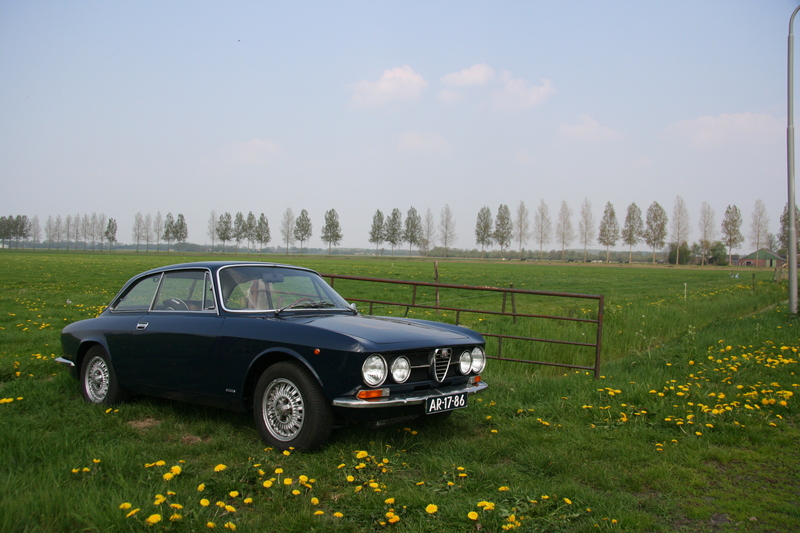 The endresult is not the typical 2000 GTV, but a mix of al the parts my sister likes the most: 1300 GT interior, small taillights, 1750 GTV grille, 2 liter engine and brakes. After a few years of hard work, this was the final result. I must say that I’m really pleased with the result! Use the menu in the sidebar to go through all stages of the restoration. Enjoy!